The day began in the ocean for the inaugural Moto Beach Classic presented by Roland Sands Design. 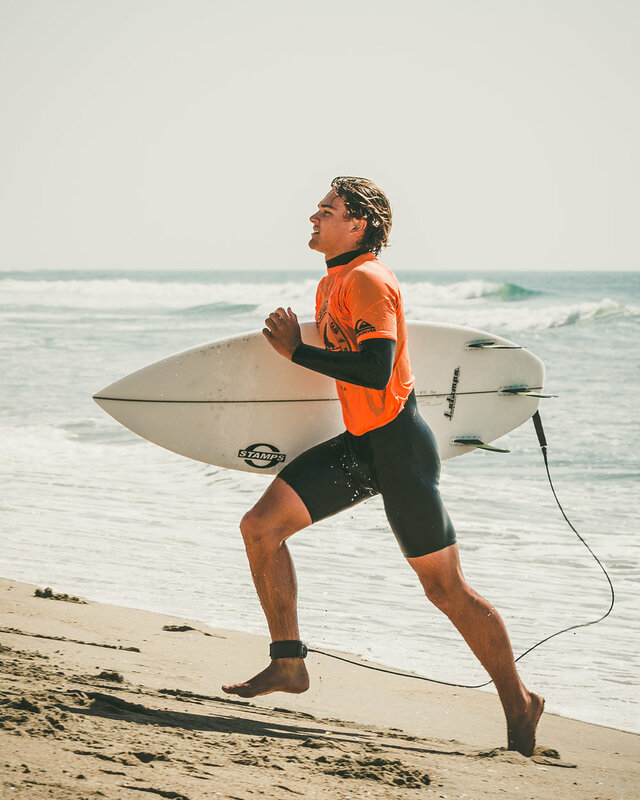 The surf competition kicked off bright and early before gates opened for the main venue. While the waves continued to roll in, the flat track started coming to life. Racers of all ages took to the dirt ring for their practice heats. The vintage category was my favorite of the day. There is something raw about loud old motorcycles ripping 'round the track. The racers in the vintage category also dressed the part. Watching them compete in attire that seemed to match the era of their bikes transported you to just about every point in motorsport history. The Moto Beach Classic was jam packed with action. 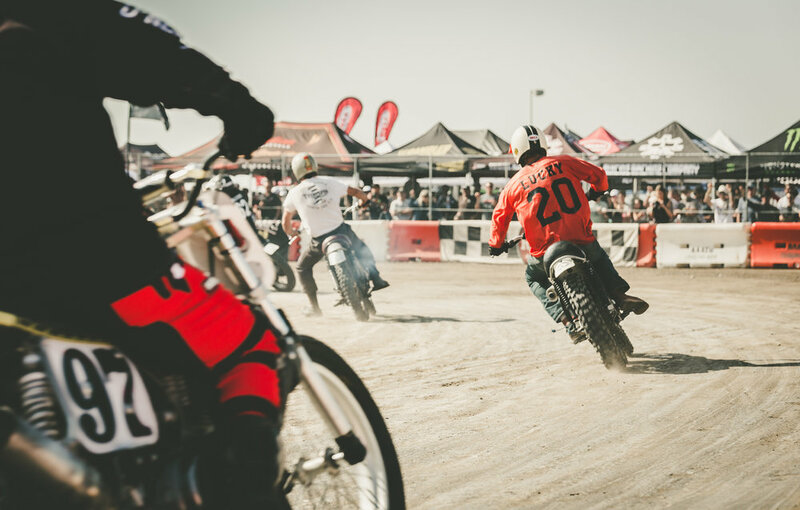 There was Super Hooligan Flat Track racing, sprint races, stunt performances, and concerts going all day. As the competition was nearing the end, riders put it all on the line. The passion and competitiveness was visible. They pushed themselves to the limit making every possible attempt to qualify for the final race of the day. Crashes came quick and often as emotions ran high in the last qualifying heats. Overall, the Moto Beach Classic was an ambitious, impressively organized, entertaining, and absolutely fun event. I look forward to seeing it return in 2018. A full gallery of images from the Moto Beach Classic will be on the blog ASAP.